You don't always need to be connected to the project server to work with projects. And you don't always need to work with enterprise projects when connected to the project server. This is particularly helpful when you're traveling and need to take a project file with you. It is also helpful if you are working with any projects that don't need to be a part of the published portfolio of enterprise projects. 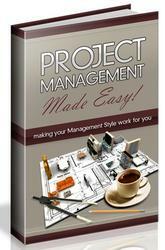 • You can save an enterprise project as a local project. To do this, check out the enterprise project. Click File, Save As. In the Save To Project Server dialog box, click Save As File. In the browser window, select the drive and folder where you want to save the local copy. Give the project a new name, if you want, and then click Save. Be aware, however, that the enterprise project is checked back in to the project server, which means that others can make changes to the project while you're working on your local copy. • You can save an enterprise project as an offline project. With the enterprise project checked out and displayed, click File, Save Offline. 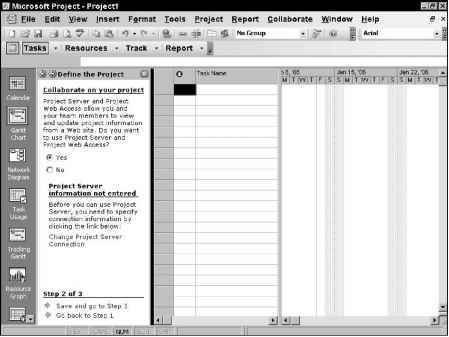 • You can be connected to the project server, but open a local nonenterprise project. To do this, click File, Open. In the Open From Microsoft Office Project Server dialog box, click Open From File. Browse to and select the local project and then click Open. • You can open Project Professional without connecting to the project server, and open and work with a local nonenterprise project. To do this, you need to have Project Professional set up for manual connection. In the Project Server Accounts dialog box, click My Computer and then click Work Offline. Or click the name of the project server and then click Work Offline.